The only problem with good books published so recently, like this one, is that I have to wait longer for the sequel. 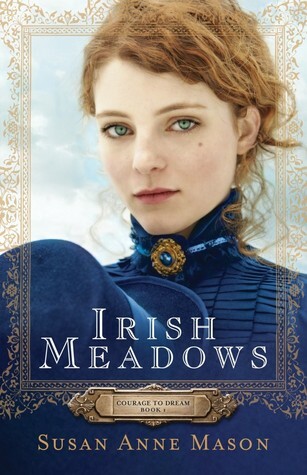 I have strong Irish ancestry in my family line, and loved this novel with its double romances. The O'Leary family live on Long Island, New York, in 1911. James, the father, is a successful trainer of thoroughbred horses, but fears his business is crumbling. He is an autocratic family head who thinks of his family as extensions of his resources, and also assumes that his own priorities must surely be theirs. His attitude extends to Gilbert, the penniless son of a servant he'd brought up as a foster son. With a mindset like James', there's bound to be conflict when his two elder daughters find his marriage choices for them repugnant, and want to follow their hearts instead. Gilbert and Brianna's ties of affection go back years. She's also the bluestocking type, who wants to pursue a tertiary education, which is frowned upon by her father. Gilbert's plight makes us ponder the question of how much a person really owes a benefactor, and at what point should we call our lives our own. Some of their rash decisions and hasty jumps to conclusions made me wish someone would knock some sense into them, yet they are so true to life for young people who have known each other forever and aren't sure how they should be feeling toward each other. Especially when their feelings don't suit the dad who pulls the strings. Both Gilbert and Brianna have peace-loving, gentle personalities, and I couldn't help hoping they'd sort their tangles without too much angst. Meanwhile, Brianna's elder sister, Colleen, starts off as a Scarlett O'Hara type of character, shallow, flirty and as manipulative as her father. She's astounded to fall for the fun-loving, warm-hearted Rylan, who happens to be training for the Catholic priesthood. I liked their story best, as it didn't have all the temperamental ups and downs of Gilbert and Brianna's, but just one very major, emotional hurdle. Wow, can that girl cry! She starts off as the sort of person who has toughened her heart and refused to cry, but in the few months covering this story, she makes up for all those years. There's hardly a scene where he's not pulling out his hanky for her. Got to love her. Rylan's dilemma was a page turner. He has a passion for what he believes is his calling, but is blindsided by the equally strong feelings he develops for the young woman whose sensitivity and generous heart he sees unfolding before him. I think he was my favourite character, and Colleen was definitely lucky to meet him. One thing puzzled me. The clergy in this story were given the title of 'Reverend', such as Reverend Filmore, but I thought the Irish priests were always called 'Father.' Were both appellations used in that time and place? I'll be hanging out for the sequel. All through the story, I couldn't help noticing that the girls' brother, Adam, seemed to have issues, although they were swept to the background. I was pleased to get to the author's notes at the end of the book, and find out that his story is coming. I've come across plenty of people who hate them, but not many who love them. In fact, I don't think I've ever encountered one. So why do these helpful people get such a bad rap? When I was a young teenager, I remember my mother ticking me off because she had lipstick on her teeth out in public and I failed to tell her until we got home. 'You've got to let someone know if they're not aware of something which could be potentially embarrassing!' Those weren't her exact words, but I got the message loud and clear. I've sometimes been tapped on the shoulder by strangers who want to tuck the tag of my shirt down where it can't be seen. The only logical response is to thank them. And we've all heard about ladies who leave public toilets with their skirts accidentally tucked into their knickers or stockings. Not letting them know would be just plain mean. 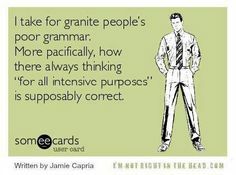 So why doesn't the gratitude extend to grammar police? If somebody writes, 'Your a special person', wouldn't they want to know that they ought to change it to you're before sending it to the recipient or splashing it across social media for the world to see? For some reason, this circumstance seems to elicit annoyance rather than thanks. Last week, I heard the host of a radio talkback show venting about grammar police. 'Just because I spelled a word wrong and didn't use an apostrophe properly doesn't mean I'm a bad person! They should just mind their business!' It seems well-meaning correction may come across as patronising, as if the grammar policeman is putting himself above the other person. If the tag on your jumper is poking up, that signifies a simple accident, while correcting someone's grammar could be construed as calling their intelligence or knowledge into question. Still, do you think it surprising that so many people would rather cruise along in ignorance, just to avoid a moment of losing face? If you have the opportunity to not look like an idiot in front of hundreds of people instead of just one, why not accept it with gratitude? Sadly, we live in an era when many people don't seem to think badly written expression is anything to be ashamed of. I came across an article I found a bit foolish, advising us to correct someone's grammar only if they want to be corrected. The question that sprang to mind was, 'How do you know whether they want you to or not, unless you mention it to them? By then, if they don't want to be corrected, the damage has already been done.' Considering the usual resentful feelings directed at grammar police, it might be safe to assume that most people never want to be corrected. I can think of only one exception. My son asks me to proofread his Uni essays before submitting them. Maybe that's the only circumstance in which joining the grammar police is regarded as socially acceptable. So if you tend to notice written mistakes, I think the general feeling is that our social etiquette in not mentioning it should override their ignorance in making them. That seems sad and wrong to me, but there you have it. Okay, so if poor grammar and expression has become a sign of coolness, that changes things. If our kids want to be admired for following their crowd of text-talkers, then we are the foolish ones, if we try to make them change, See you tomz, have a gr8 nite, to See you tomorrow, and have a great night. This type of rebelling from established rules isn't even modern. In Randolph Stow's novel, Midnite, about a young bushranger, the hero's astute sidekick advised him to write his name as Captain Midnite, making sure to spell it wrong, because he wants to come across as original and romantic, 'and there's nothing romantic about good spelling.' Far be it from grammar or spelling police to force others to fit the mold at times like this. However, I still think these exceptions differ from most general occasions, when a person intends to write the correct form, but totally misses it. If you're like me, and somebody writes, Remember, your ment too bring afternoon tea, witch they want you to leave by the door so there Dad can pick it up, our proper response is to just turn a blind eye to their mistakes, and send back a smiley face as if we haven't cringed at all. 2015 Reading Challenge, Week 25 - A Book from your Childhood. When I was 10 years old, I loved this little book so much, I read it over and over again, and for some time, no other books seemed to have any colour. 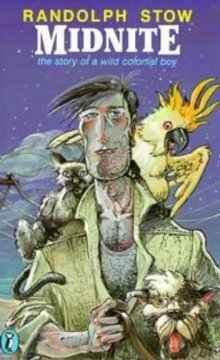 Several years later at Uni, we were given some other Randolph Stow novels for Australian Literature in English, and although they were pretty good, they didn't capture my heart as Midnite did when I was small. Even though MIDNITE was seventeen, he wasn't very bright. So when his father died, his five animal friends decided to look after him. Khat, the Siamese, suggested he became a bushranger, and his horse, Red Ned, offered to help. But it wasn't very easy, especially when Trooper O'Grady kept putting him in prison. A brilliantly good-humoured and amusing history of the exploits of Captain Midnite and his five good animal friends. I loved this book when I was 10 years old, and now that I'm a homeschooling parent, I love it as much for different reasons. Captain Midnite is a bushranger who has the country's collective heart gripped in terror. Even Queen Victoria is troubled by his frightening reputation. Nobody knows that he is really a 17-year-old with a handful of pet animal confederates, and that he isn't very bright and pretty plain looking (although he can appear almost handsome if he scrubs up). Another memorable character is Trooper O'Grady, the cop who young Midnite thinks the nicest fellow one could ever meet, but conceals a shady side. Khat, Midnite's fierce Siamese sidekick, is great. Then there is the beautiful, romantically inclined Miss Laura Wellborn, whose greatest desire is to glimpse Captain Midnite's face. The problem is, she doesn't expect a straggly youth. When I was young, I lapped up the story while the hilarious subtleties, innuendoes, historical references, ironies and Midnite's funny naivety soared right over my head. That's what makes this such a brilliant choice for adults as well as kids. It's not the usual bedtime story that you yawn your way through to keep your children happy. And it sparks interesting conversations and a curiosity about the colonial era in a really positive way. Overall, you can't help wishing well for the young man who thinks the best of people and takes everything that comes his way at face value. In 1978 Susie Davis watched as a thirteen-year-old classmate entered her classroom and killed her teacher. As a witness to one of the earliest school shootings in our nation, Susie faced years of paralyzing fear and an intense distrust of God. 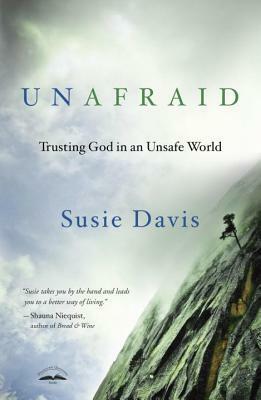 But God relentlessly pursued her and, over time, broke Susie’s fear addiction. As Susie shows us, it is possible to break fear’s grasp on our lives. We can be aware of the terrible without forgetting the beautiful. We can look up with joy and realize the remarkable truth: Jesus wants to take our fear and give us, in its place, true peace. Walk this liberating journey with her and learn what it means to live unafraid. This book is written from the author's personal experience for all of us who have struggled with strongholds of intense fear. This includes a feeling that God will not necessarily look after us, based on the observable experiences of ourselves and others. Susie's started in High School, when a fellow student shot and killed a teacher in front of the class. Others have different triggers, but share her feelings. I like how she helps us face the fact that fear is an idol. We may think of 'idols' as only things which bring us pleasure, but they are simply things which consume our thoughts and attention, and take priority above God. So even though we abhor our fear, it may be high time we're alerted to the fact that we may, in fact, worship it. As the only real solution, she urges us to train our minds to knock down subtle, apparently rational thoughts against God's truth. If you're like me, we need a bit of plain talk like this. We need to be told that rather than being in our circumstances, as we imagine, our sickness is actually in our hearts. We have to face the fact that rather than being like brave Caleb in the Bible, we'd be more likely find ourselves among the rest of the Israelites, who think it's safer to warn others about the giants. I'd place this book on my shelf along with other faith-building testimonies and teachings about our true biblical grounds for relying on God's love and expecting healing. 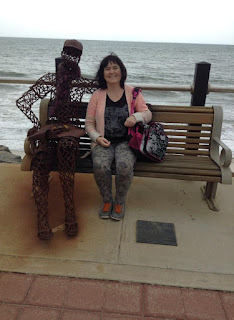 I shared this reflection with the Christian Writers Downunder blog readers some time ago, and thought I'd like to share it here too. Especially since we've been appreciating the ease of searching through different Wiki sites recently. I visited Great Britain when I was a University student. It was a holiday with my parents, and we visited a countless number of breathtaking churches and cathedrals. The abundance of stonecraft and marble work amazed us. There were Biblical heroes with finely-honed facial expressions, and anatomical details, such as veins and Adam's apples, which we would never have imagined could be chipped into stone. A little creepier were the models on top of tombs and crypts of the people who lay beneath; kings, queens and statesmen staring up at us. What intrigued me most was that the quality of all these works of art was so incredibly high. We all associate the Statue of David with its creator, Michelangelo, to the extent that both names are synonymous and recognised instantly all around the world. But these ancient British craftsmen, whose work had just as much of a Wow factor for me, remained anonymous. If we looked closely enough, we might have seen tiny initials etched into the clay or stone, but just as often we couldn't. It would seem these craftsmen were working solely for love of it, and to bring God glory. It was simply their calling. Being unacknowledged didn't seem to enter their heads or detract from the standard of their work. I wondered whether writers would be equally happy to remain unnoticed, for even the most self-effacing author knows that his name will appear on the cover of his book, along with the title. Since I asked myself that question, excellent modern authors, who don't mind reminding anonymous, have been drawn to my attention everywhere. My husband is a musician trying to build a repertoire of old songs, as he plays for senior citizens in nursing homes. He and I have been listening to the free Pandora radio station on our Ipad, especially interested to read the histories of the bands and solo artists who are being highlighted. There are pages and pages of well-written information, including great descriptions, fantastic imagery and impeccable research. Yet the authors don't sign their names to it. That made me think of the thousands of people who spend painstaking hours editing information on Wikipedia, not to earn a name for themselves but because they are passionate about the topics. You might have heard about Stealth Gardeners. Their hobby is also known as Guerilla gardening. They creep out at night and beautify ugly patches of land and other eyesores, at the risk of being arrested for trespassing. Personally, I'd welcome them anytime they wanted to visit my place. I guess the Wiki editors and other people who write content for websites may consider themselves Stealth Writers. I find these people a very encouraging example. When we're working at fulfilling our calling, there is no rule that says we always need our name connected to it? That's working in the wrong spirit. Those of us who have written books and articles may consider their examples. Some of our work may be more hidden, such as blog posts that disappear into cyberspace and book reviews which join hundreds of others. If we're tempted to skimp and not put as much TLC into these things as we do for our more visible work, perhaps we should consider our motivations. Whether we're writing novels, articles, blog posts or reviews, we could consider even our smaller bursts of writing as little geocaches, which may be discovered by anyone at any time. Here's to big-hearted people everywhere, who are simply committed to making the world a more beautiful place, even if it's anonymously. Up above is a photo taken last week at the beach. 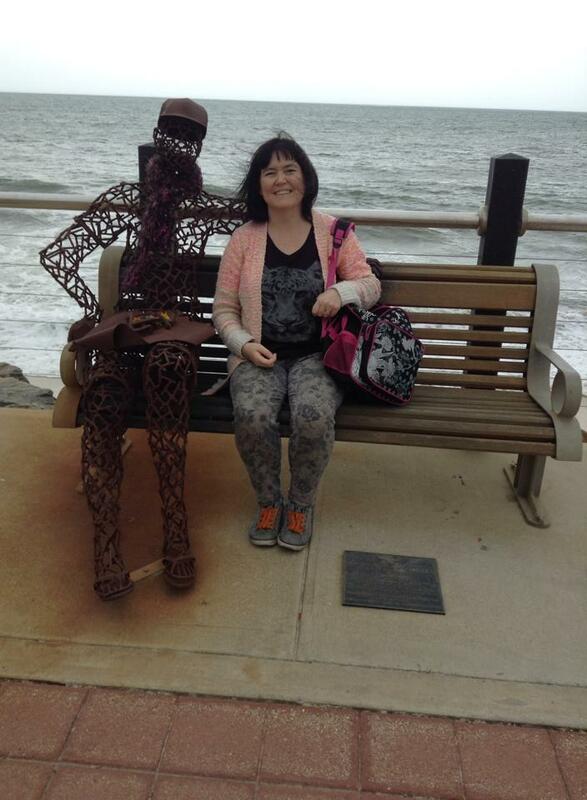 The great work of art sitting beside me is a good example of what I'm talking about. Although the plaque is there near my feet, who bothers to stop and read plaques? Not me apparently, for I cannot tell you the name of this fun artist. 2015 Reading Challenge, Week 24 - A book your Mum loves. Early on, I asked my mother for some recommendations, and she had a mental blank, telling me she'd have to get back to me on that one. Knowing she gets flustered when put on the spot, I thought I'd tackle this category later. However, on a recent visit, she offered me this book which she borrowed from a friend. Mum thought it was funny and very easy to read. And I knew it would cover my challenge for this week without even having to remind her about it. Hornby means us to take his title literally: How can we be good, and what does that mean? However, quite apart from demanding that his readers scrub their souls with the nearest available Brillo pad, he also mesmerizes us with that cocktail of wit and compassion that has become his trademark. This has the title of a very audacious self-help book, but it's fiction. Katie Carr likes to think of herself as a good person, and uses the fact that she's a doctor to prove it. Shouldn't helping people as your career cover a multitude of sins? One day, her grouchy husband, David, decides to throw off his normal attitude and take the concept of goodness to a whole new level. He's been healed by a faith healer named 'GoodNews' and together they aim to revolutionise the world with their benevolent deeds. Katie is forced to ask herself whether her resulting irritation reflects badly on her or not. It's a satire which shows how slippery the label of 'good' may be. David reasons that in general, we don't care enough, and look after ourselves while ignoring the weak and poor. Many people, myself included, have felt convicted by this fact. The Bible reminds us of it, after all. Yet we're prompted to ask whether David's goodness crosses the line into sanctimony. Can 'goodness' turn like whipping cream if taken too far, and lose its value? Some of their exploits, such as convincing hapless neighbours to take homeless youth beneath their rooves, have unexpected consequences. It's set in London, and so British I could clearly imagine their accents. I like Katie's family. Tom, the ten-year-old, is described as having the personality of a child prodigy, but without any evident talent. It becomes clear that his talent is his clear-sighted ability to pinpoint the real motives of those around him. Eight-year-old Molly is a sweetheart who is willing to go along with whatever is happening, to please people, but is her dad making her into a monster? And is showing up her brother part of her goodness? Then, there's poor old David, who forces himself into the mold of Barbie's Ken, but without the rugged, good looks and contoured body. My best takeaway is that living a good life may take less effort than we think, as familiar people around us could well be suffering, unnoticed. Making the effort to go out specifically to look for strangers to help may not be required. For example, Katie chances upon her brother, Mark, and realises how depressed he's been. Doing simple gestures for people already in our lives may have more impact than we'd imagine. The events of the story also make us see that it's not just okay, but appropriate, to say no at times. As well as being about goodness, I think the story is about being happy with what we've got. I'm impressed that a male author can write authentically in first person from a woman's point of view. It doesn't happen very often, and I think he got into her head pretty well. It's not the sort of book I'd remember forever, but does meet its aim pretty well. Do Cliches Drive You Nuts? We are told to avoid cliches like the plague. I've always found that very difficult to do. Here is some interesting history about how they came to be named. Way back in the eighteenth century, a particular kind of printing tool was invented, using metal plates with letters arranged on them. This was thought to be a quick, cheap way to print something over and over again. It was called a stereotype. The word they chose to describe the sound the stereotype made while operating was cliche. I would have imagined it to be more like the English word 'click' but there you have it. Although this method of printing was found to be faster and more economical, the quality of work produced by the stereotype was far more dubious than setting up fresh printing blocks every time. For each project, printers had to choose whether to get it over and done with quickly with the use of the stereotype, or take a bit more effort to create something new. In my dictionary, the definition of stereotype is 'a person or thing considered to represent a set or conventional type.' It's older meaning isn't even mentioned, presumably lost. And cliche, of course, means a phrase we've heard or read so often that it's lost its punch and no longer carries meaning or excitement. One of my kids once said, in all seriousness, 'If Shakespeare was so good, he used lots of cliches.' Ha, poor Shakespeare invented them when they were still fresh and original. I suppose having one's work over-used until it joins the ranks of cliches is the ultimate compliment to a writer. I could see my mentor's point. 'Okay, I'll go through the manuscript and search for every cliche with a fine tooth comb.' Oops, every spoken word seemed to prove that I even thought in cliches. I knew the job would be harder than I anticipated, but I was determined to weed out every one (another one). 'Huh, does that mean a cliche might have been a better choice after all, then? They don't pull attention away like that?' I wasn't trying to be difficult. I just wanted to know. 'Okay, back to the drawing board. And I think I just spouted another cliche. Never mind, it's time to get on with this. I'm not supposed to use cliches, and I'm not supposed to use fresh images which may come across as too startling, yet I'm still supposed to tell an engrossing story which will draw people in. Fiction authors must be like super heroes, and I don't even care if that's a cliched thing to say.' At that moment, I understood something that many people might not get about authors. Ease of flow in a story does have an illusory quality about it. The less effort it takes the reader to enjoy, the more hard work the author may have put in to make it that way. 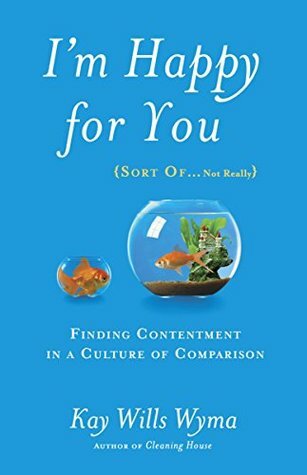 The 'Obsessive Comparison Disorder' described in this book is the sort of trait we don't find socially acceptable to admit to, so it's interesting to come across books which deal with it. This one is more of a light, breezy read than a dense, heavy one, and I might have preferred something more in the middle. I didn't like the first half of this book, but loved the second. At first, most of Kay Wyma's examples seemed to be focused on FWPs (first world problems). Empty car parks getting stolen, visitors catching sight of crammed fridges and clothes on bathroom floors, girls comparing their thigh gaps. No doubt we've all been agitated by these types of things, but after several pages of reading about someone else dealing with them, I was finding it a bit much. The solutions she offers come across more like non-solutions at times. In the author's own words, 'What if we stop looking at others to envy them, and instead look at them to appreciate them and celebrate their success?' Really? Apart from stating the obvious, isn't that a bit like telling a lame man, 'You could cross that road, if you just get up and walk'? Sure, we may need to change our mindsets, but how about some tools to help us figure out how, rather than circular arguments. Question: How do we overcome envy? Answer: Stop being envious. Also, I was noticing a few too many pearls of wisdom in the form of, 'I told them this.' Once again in the author's own words, 'At this point I couldn't stop myself steering both of us toward truth.' On the whole, Kay Wyma doesn't come across as a smug person, but these were getting frequent enough to count. Maybe it's just a mother's reflex. That might be another thing. I too have a family of kids ranging from young adults down to smaller ones, so I could relate to her, but wondered whether she might be losing other readers with different life circumstances. The second half improved out of sight. She delves into more meaty matter, such as the fact that no life path we choose is likely to measure up to our unrealistic expectations in every respect. This is wisdom we'd do well to know, because we have more chance of sticking to the course happily if it doesn't take us by surprise. But what I liked best is when she explained how our cultural bias toward quantifying everything puts unnecessary pressure on all of us. The social media age just compounds the problem. How many attendees, subscribers, viewers, likes, fans and facebook shares do we have? We're encouraged to get a handle on the 'Personal Branding Movement' and make sure we have neat, pithy, consistent messages across multiple platforms; blog, Twitter, Facebook, Pinterest, Instagram, LinkedIn. And personal development lists are rife across social media, just giving us more ammunition to feel guilty about not living up to. Just drawing our attention to the craziness we all call normal is enough to help us draw a deep breath and take a step back. I found it worth plowing through the rest of book just for this part. Thanks to WaterBrook Multnomah, Net Galley and Blogging for Books for my review copy. 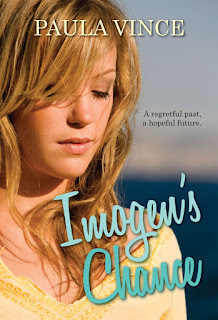 2015 Reading Challenge, Week 23 - A Book that made you cry. With this category, I decided I'd better grab the first one which fit the bill. I'd challenge anyone not to shed a few tears over the plights of Henry and Clare, who were just a couple of lovers trying to make the best of a challenging situation. I can see why some people call it one of the best romances of all time. Henry has a genetic disorder which first manifested itself when he was five years old. At random moments, he's jerked out of real time to his future or past. He always materialises stark naked, facing a desperate attempt to search for clothes. The parts where he comes face to face with his older or younger self in real time are fun and fascinating. 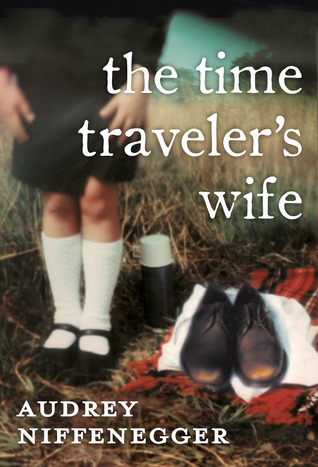 It's not like other time travel stories I've come across, in which protagonists have to avoid direct contact with themselves. Both the time traveling and current Henrys know what's going on, and look out for each other. The story is essentially about how he meets and marries his soul mate, Clare. She was six when she first met him, and the Henry from the future was 36. She doesn't meet him in real time until they are both in their twenties, by which time she's amassed years of fond memories with him, while from his point of view, he hasn't met her yet. I was so impressed with the tightness of the plot, as time travel stories have the potential for lots of inconsistencies. There were just a few little niggles, which probably go with the territory of this genre. Henry held down a job as a librarian for several years, but the chance of disappearing into a pile of discarded clothes in front of one of his special interest presentations never seems to be an issue, and Henry never seems to expect it to be. At first I was thinking his plight would be great, in a way. I'd like to be able to appear from the future to tell myself, 'Stop stressing, because it's not going to happen,' or something similar. As I kept reading, the sinister aspect kept rearing its ugly head. Eventually, Henry hits a block, where he realises that he must stop time traveling after a particular age, and can only guess what might have happened to himself. I wouldn't be him for anything. That's what the story is all about, and why it has the potential to become a tear-jerker. It's a very thick book. Maybe there's a bit too much domestic detail , especially around the middle, for those who pick it up for the fantasy/sci-fi element, and too much weirdness for those who like straight love stories. Since I like both, I was happy enough, until I started howling. Henry and Clare are great main characters and easy to become invested in after so many pages have been turned. I'm not sure I'll read the sequel, about their daughter, Alba, until I get over this one. The very condition that finally caught up with Henry and finished him off is the same one which saved his life when he was five years old, making this the type of story that even Shakespeare might be impressed with. It's approximately one year since this last novel of mine was published. The timing was great, as Imogen's Chance has just been the featured novel on Marion Ueckermann's beautiful 'A Foreign Affaire' blog. I believe the waiting list to be a guest is fairly long, and I can understand why, as one entire month is devoted to interesting information on each book. This includes place backgrounds, and interviews with three different people; the two main characters and the author. After all this time, I wasn't sure what I was going to say, let alone what Imogen and Asher would say. 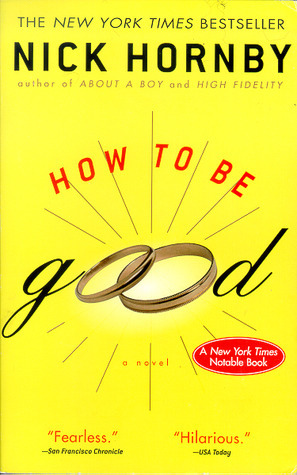 2015 Reading Challenge, Week 22 - A Book you can finish in a day. A day? You can read this little story in an hour. It's only 54 pages long, and has become a classic and a movie. With the mysterious arrival of Babette, a refugee from France's civil war, life for two pious sisters and their tiny hamlet begins to change. Before long, Babette has convinced them to try something other than boiled codfish and ale bread: a gourmet French meal. Her feast scandalizes the elders, except for the visiting general. Just who is this strangely talented Babette, who has terrified this pious town with the prospect of losing their souls for enjoying too much earthly pleasure? Martine and Philippa are austere, elderly sisters who still retain traces of their former ravishing beauty. Their father was a strict Puritan minister, and they had devoted their lives to serving with him. Babette is their unassuming French maid who has won a windfall in the lottery. Instead of leaving the sisters, as they fear, she chooses to treat them and their guests to a sumptuous feast. Although all the money will be blown in one night, Babette insists there is nothing she would rather do. Martine and Philippa have serious misgivings, but let her go ahead. A story doesn't have to be long to pack a powerful punch. For a start, you can almost smell the fragrance of the French banquet cooking. She intends to serve dishes such as Potage a'la Tortue (Turtle Soup), Blinis Demidoff (pancakes with caviar) and Cailles en Sarcophage (quail in puff pastry with truffle sauce), along with the best vintage wines. To me, the story is also full of far-reaching, theological analogies. a) Appearances can be deceptive. 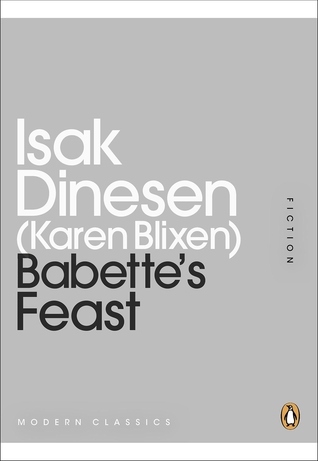 How ironic that the sisters initially assumed they needed to give Babette cooking instructions, and how obediently she always stuck to the limit they set. God may do the same with us, if we insist He stays in a box. It also shows us not to underestimate those who appear quietest and most humble. For a story such as this, short is perfect.